Singapore’s basic bus services, MRT and LRT trains for the duration that it is valid. You can now take in the sights and sounds of Singapore in the comfort of the island’s extensive train system and public bus network. 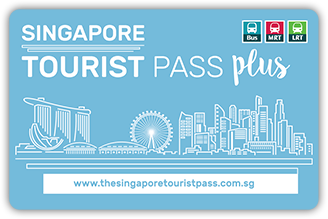 At wallet-friendly prices, you do not have to worry about having insufficient funds for your transport needs with the Singapore Tourist Pass. 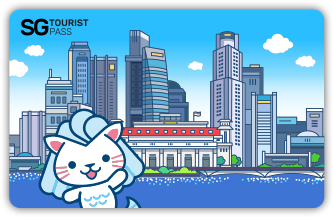 All you have to do is to purchase the Singapore Tourist Pass, choose the number of day passes you require, use for your unlimited rides on buses and trains, and refund the card before you leave Singapore! A 1-day coverage of the STP begins from your 1st usage till 11:59pm of the day. Usage of 2-day or 3-day card must be on consecutive days. Unlimited travel is only applicable for public bus and train services. The pass excludes rides on premium services such as Sentosa Express, RWS8, Fast Forward, Night Rider and Nite Owl buses. Prices apply to adult and child above 0.9m in height. You can refund the pass at ANY TransitLink Ticket Offices. To locate all TransitLink Ticket Offices, please click here. You can also refund it at SMRT Passenger Service Centres located at MRT stations at Changi Airport, Kranji, Lavender, Dhoby Ghaut and Marina South Pier. All Passes are sold with a fully-refundable smart card rental deposit. At the point of purchase of the pass, a deposit of S$10 will be collected for use of the smart card. The rental deposit is fully refundable when the card is returned to any of the authorised Transitlink Ticket offices in Singapore, including within six days from the date it was first issued.NB: If you wish to retain the card beyond the 5-day rental period as a souvenir, the S$10 card rental deposit will be forfeited. But if you purchase another pass using the same card, you will thereby extend the rental period of the card for a further 5 days. After the rental expiry of the card, and if you chose to retain the card, you can continue to use the card as a normal ez-link card by topping up the card with cash at any of the top-up machines located within the MRT station. The card can be used across our public transport network of trains and buses, as well as at selected merchants that accepts ez-link card as a mode of payment. Please ensure that you purchase your Pass according to the number of days of your travel needs. There will be no refund or partial refund if it is returned before the expiry of the pass. A special ez-link card that offers tourists unlimited travel* on Singapore’s basic bus services, MRT and LRT trains for 3 days duration. You can now take in the sights and sounds of Singapore while experiencing Singapore’s efficient public transport system. 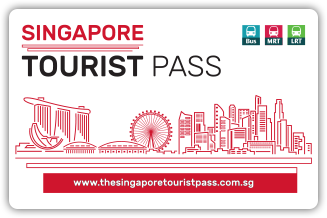 A 1-day coverage of the SG Tourist Pass begins from your 1st usage till 11:59pm of the day. Usage of the 3-day pass must be on consecutive days. inexpensive scrumptious dining to one-of-a-kind shopping to heart-thumping entertainment and unlimited travel* on Singapore’s bus services, MRT and LRT trains. The Pass will also enable you to enjoy great savings while maximizing your travel experience in this beautiful and irresistible city. Please visit Changi Recommends website for the latest bundles. STP+ packages and bundles are subjected to changes without prior notice. A 1-day coverage of the STP+ begins from your 1st usage till 11:59pm of the day. services, MRT and LRT trains for the duration that it is valid in the form of a trinket. Bring home a piece of Singapore with this cute STP Charm. After all, no trip is complete without a memento! A 1-day coverage of the STP charm begins from your 1st usage till 11:59pm of the day.